Loretta sports a new, more grown up look. In the blink of an eye, my girls are almost grown up! Tonight, as I let them out for their evening stroll, I saw all three are sporting big combs atop their heads. Also, wattles now hang below their chins. The combs and wattles are bright red, too. 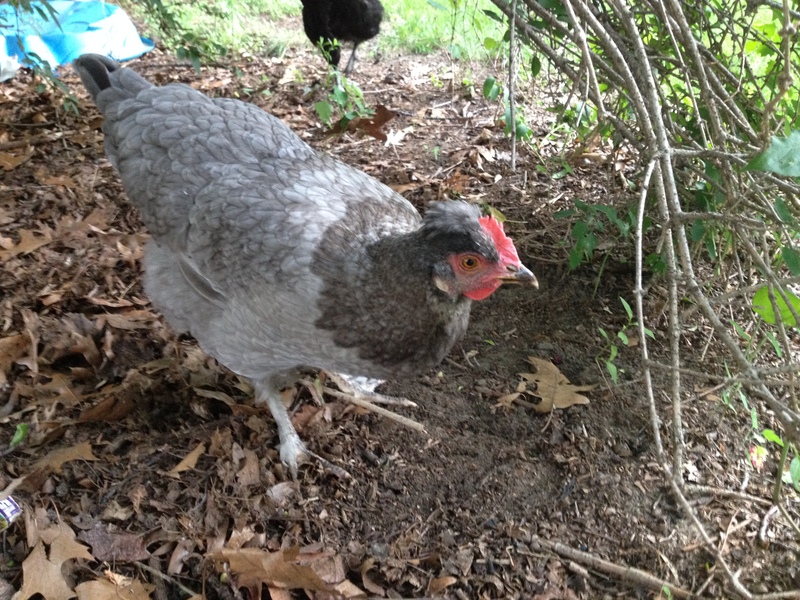 These changes signify that the girls are almost full-fledged chickens. In fact, “egg watch” will begin soon. 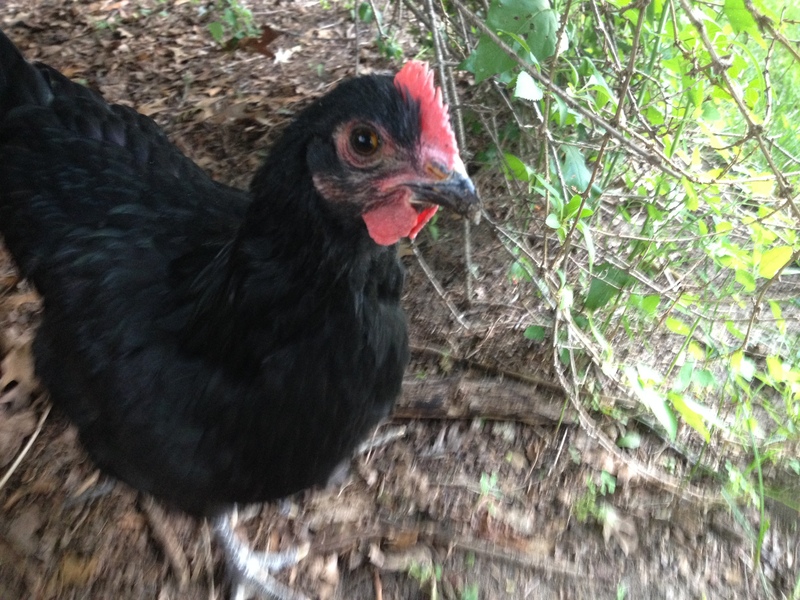 Chickens begin laying eggs at 18 weeks old, which is just over two weeks away. It’s hard to believe that day is almost here. I’ll be on vacation the week before eggs will arrive, and I’ll need the time to prepare. 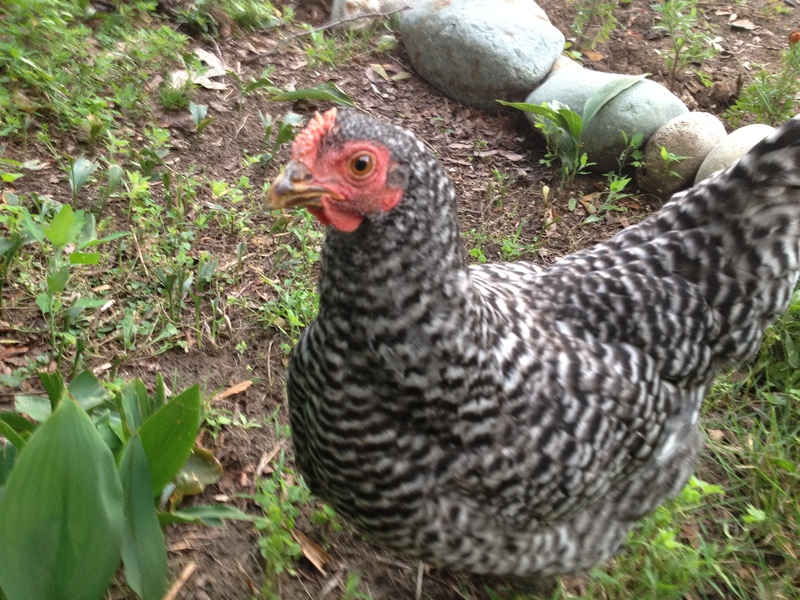 I need to open the nesting box, where the girls will lay their eggs. I have kept it closed off to prevent them from pooping in the nests. I’ve heard it’s best for them to discover the nests just as they need them, and to associate it with, um, nesting! I’ll also have to pick up a bale of hay to fill the individual nests. At 18 weeks, the girls also will switch over to layer feed, which will have an adjusted protein ratio plus added calcium to help strengthen the egg shells. It’s a bit of work getting the girls ready for prime time. Loretta, Gigi and Nellie are ready to strut their stuff.